The short film Father K focuses on ELCA pastor Khader El-Yateem's run for a seat on the New York City Council. 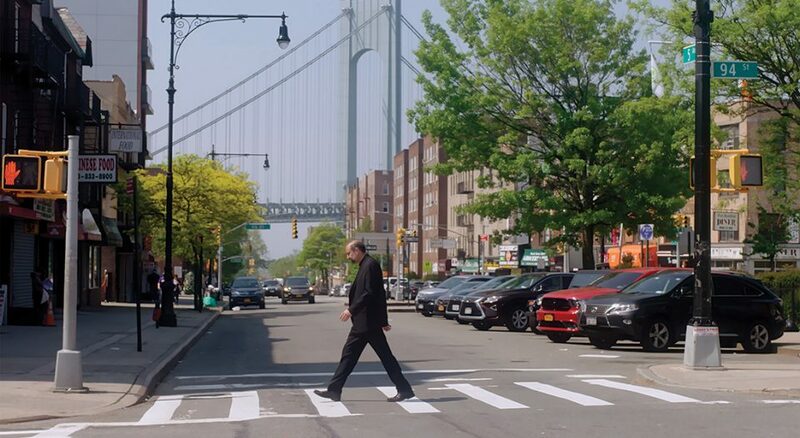 If Father K—director Judd Ehrlich’s short film about Khader El-Yateem’s run for a seat on the New York City Council—were simply a political drama, then knowing whether he won or lost might be considered a spoiler. But knowing the result (he lost) neither spoils this compelling character study of a Palestinian-born ELCA pastor nor turns it into a tale of defeat. Instead, the 34-minute documentary delves into what drives El-Yateem, known as “Father K,” to take his message beyond the pulpit to the wider public. Father K, which congregations can rent through Tugg, opens with El-Yateem recounting the seminal moment of his life—he was taken from his Bethlehem home by Israeli soldiers and imprisoned for 54 days, questioned and tortured daily, and then released with no explanation. In his ministry and outreach, El-Yateem has gained a reputation as a bridge-builder. He served as a clergy liaison to the New York Police Department and co-founded the Bay Ridge Unity Task Force, which was established by an interreligious group of leaders to combat bigotry in the wake of 9/11. He also serves as president of the ELCA Association of Lutherans of Arab and Middle Eastern Heritage. In 2017, he ran in the Democratic primary to represent New York’s council district 43, described in the film as having a significant Arab population, many of whom were not registered. Erhrlich said he believed—as did many—that El-Yateem was going to win the primary. What Ehrlich learned was that El-Yateem and the community supporting him had only begun to fight, redirecting their energies toward wins in the 2018 elections. That objective, El-Yateem said, was the primary goal. Through his efforts as a community organizer, those ideals galvanized people of various faiths toward common goals. It was then that Ehrlich found the ending to his film. El-Yateem’s call at Brooklyn’s Salam Arabic Lutheran Church—where he preached in both English and Arabic—was apparently coming to an end. Before filming had ended, El-Yateen was asked to serve as director for evangelical mission and assistant to the bishop in the Florida-Bahamas Synod. El-Yateem confirmed what the movie depicts: leaving New York City was the hardest decision of his ministry, one he spent three weeks praying over before accepting the new position. After months of shooting and editing hours of footage, Ehrlich invited El-Yateem to the first major screening of Father K. “I was overwhelmed with emotion,” El-Yateem said. “I was crying throughout it, and my wife had to help calm me down. I was impressed with the way they were able to bring my background and to capture the essence of the campaign—and what has come out of the campaign was really incredible.” The documentary has since won numerous awards from international film festivals. There’s no need for a spoiler alert, because this is exactly what El-Yateem has been saying and preaching for decades.